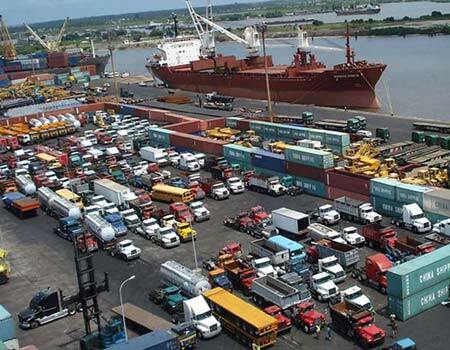 The Managing Director, Nigerian Ports Authority (NPA), Ms Hadiza Bala-Usman, says the nation’s ports are now attractive and calls on the investors to improve on their patronage. Bala-Usman made this known during a three-day training for Maritime Reporters and Editors on Data-Driven Journalism with the Theme; “NPA and Ongoing Reforms’’ held in Lagos on Wednesday. The News Agency of Nigeria (NAN) reports that the training was organised by the Management of Premium Times Ltd. in collaboration with the NPA. She said that Nigeria was not an exception, saying that maritime stakeholders had called on relevant authorities to tap from the numerous potential and opportunities Nigeria could benefit from its location within the Sub-Saharan Africa. She assured the major players in the maritime industry that the authority would explore optimally the area of revenue generation and job creation to the benefits of the Nigerian populace across board. The NPA boss said that the management intended to vigorously enforce all standards for greater efficiency and service delivery, saying that the authority sincerely need media support in this regard. Bala-Usman commended the media and organisers for putting up the event and most importantly choosing the theme, which would have greater benefit across board. Mr Adams Jatto, the General Manager, NPA Corporate and Strategic Communications, said the management had a three-tier short, medium and long term solutions to the gridlocks on port access roads. He said that in the medium term, articulated vehicle parks were being built and there would be automated call-up system to monitor traffic. The Chief Executive Officer of Premium Times, Mr Dapo Olorunyomi, in his address of welcome, said it was important to understand the strategic importance of the maritime sector.